Subha Ji crossed 5100 posts mark this Guruwaar. I am really thanking you DIDI for sharing your good thoughts and philosophy with us. And i have no words to thank you for your sincere prayers for us. May BABAji always bless you for being so nice. "I will not allow my devotees to come to harm." "If a devotee is about to fall, I stretch out my hands to support him or her." "I think of my people day and night. I say their names over and over." You are a fore runner in spreading our dear Baba's word. Amazing, 5100 posts. 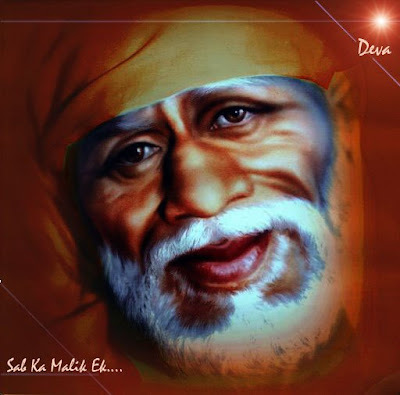 May Sai bless you Subhadra ji. Keep up the good work. BABA THANKYOU FOR BLESSING ALL OF US WITH SUCH A BLESSED DEVOTEE OF YOURS ,WHO COULD SHARE YOUR LEELAS WITH US. SAI BABA SHOWER YOUR GRACE ON SUBHADRA & HER FAMILY ALWAYS AND MAKE HER EVER [ ][ ][ ][ ][ ][ ]. Subhadra my PC WAS OK & is working just fine. Page created in 0.55 seconds with 45 queries.